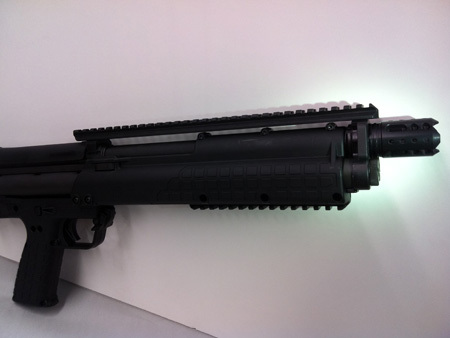 KSG Shotgun (MUZZLE BRAKE) Made in the U.S.A.
- Vented ports machined to dissipate gasses thus reducing recoil. 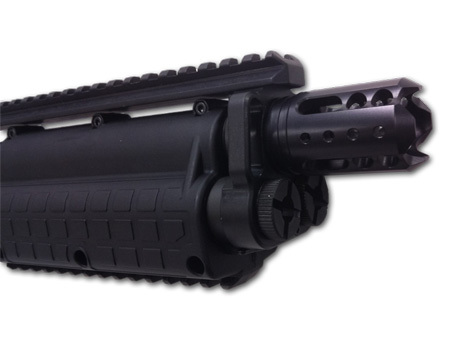 **15-20% Reduction in Recoil! MAXIMUM effectiveness at the minimum of weight. 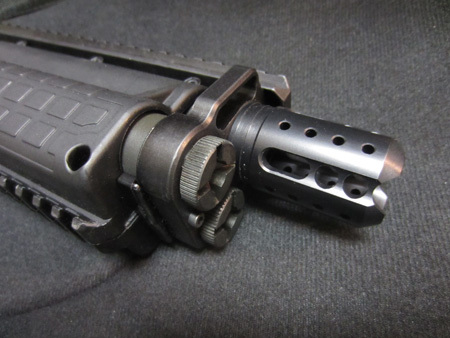 One of the best Muzzle Breaks for the KSG on the market. This item is copyrighted & "Design Patented: Patent# US D694,355 S"